Lexi with Tash and Todd. Ivy with Brandon. Toby with Jamie and Craig. Hadley and Cohen with Brooke and Jono. Peyton with Jordyn and Levi. Bailey with Jamie and Tracey. On Thursday 23rd August we farewell Amy who will be leaving us. Amy has been working as a Childcare Assistant and in the kitchen at Grow. We thank Amy for all her contributions to the centre and wish her well for the future. Tracey will be joining the team on Monday 27th August, to fill the Childcare Assistant position. Wet bags can be purchased from the office for $3.00, it is recommended that your child has a wet bag for their wet clothes. We do understand that the bags we have are not 100% water proof, so the teachers still may use a plastic bag from time to time. If you do not wish to purchase a wet bag, please provide a plastic bag (or an alternative) for your child’s wet clothes each time they attend the centre. If you need to contact the centre please ring the landline between 8.30am -3.30pm - 07 9297718. Or you can always text a message through on 027-4821338. We do not mind how many times you call us. We would rather you feel at ease and comfortable. We have received our draft report which management will review and give feedback to ERO on. As soon as the final report is received we will be able to share it with you. Grow is filling up fast with new enrolments coming through the door daily. We are meeting so many new people and are excited to have more children with their whānau coming to Grow ECE. Now that we have more enrolments there are less spaces available. This means when Grow ECE is at full capacity we may not be able to accommodate casual bookings so easily or change your current booked hours. All permanent changes to hours will need two weeks’ notice to take effect. If you are thinking of extending your child’s current attended hours or booking in for an extra day, please see Rachel or Anita in the office as soon as possible as you may want to get in quick! Please note next month (September) teachers will start implementing the Sun Smart Policy and sunscreen will be applied to your child. As part of the enrolment process you would have signed permission for your child to use sun screen we provide. If you do not wish for your child to use the sunscreen available, please ensure you have communicated to the staff and it is noted on your child’s file and if this is the case and you are expected to provide their own sunscreen. Hats will need to be worm from September onwards outside, as the warmer months are heading our way. See below what is happening in and around the local community. Yummy Tucker (next to Grow ECE) is now open on Friday nights for Fish and Chips – 5pm – 8pm, call 262 2200 to place an order. The Little Big Markets – Saturday 1st September – 9.00am – Coronation Park. Father’s Day – Sunday 2nd September – it is a celebration honoring fathers (caregivers) and celebrating fatherhood, paternal bonds, and the influence of fathers in society. The Night Out Markets – Friday 7th September – 6.30pm – Bethlehem Hall. Tauranga International Marathon – Friday 22nd September – from 7.00am – No.1 The Strand. Tauranga City Council Worm Composting Workshop – Saturday 29th September – 1.00pm – Gordon Spratt Reserve. Our teaching team have been given a challenge to select an area of play or interest to develop in the centre. The purpose of this is to think about making the environment attractive and appealing to curious little minds. In teacher talk we often refer to the environment being the third teacher. 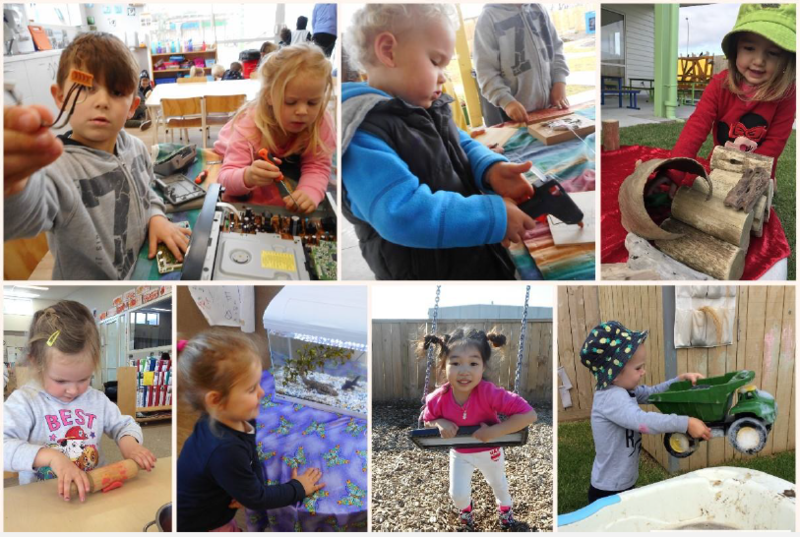 Aesthetics play an important role to entice children into an area or space, but it is the materials and resources that provoke thinking; encourage questioning and foster conversations. We want to encourage the use of open ended equipment and limit too much equipment with predetermined outcomes so that we can provoke investigation and enhance creative expression. If you have any ideas for input, please see the teachers. A teacher was talking about developing the carpentry area and I wondered what the lovely outcome of their challenge would look like.